If you live in Massachusetts and your home has a septic system, you’ll more than likely need to have the system inspected and approved before transferring ownership or making significant modifications to your home. The set of state regulations that govern this process is called Title V. These regulations were created in 1995 by the Massachusetts Department of Environmental Protection (MassDEP) to protect waterways and the environment. Septic system inspections are a key piece of these regulations. Each city’s Board of Health administers Title V and keeps a record of a home’s as-built septic plans, as well as inspection results, which details the condition of the septic system and its capacity. When do you need a Title V inspection? Transferring ownership of a home between current spouses. Transferring between parents and their children. When the property is held in a trust where at least one beneficiary is a first-degree relationship. In addition to transfers of ownership, an inspection is typically required when the use of the property changes, such as converting a home into a commercial office space. A Title V inspection is also required when properties are combined or divided. You may also need a Title V inspection if you make additions or improvements to your home. Although not all types of home additions dictate a septic system inspection under Title V regulations, adding bathrooms, showers, or bedrooms warrant an inspection. Who performs a Title V inspection? 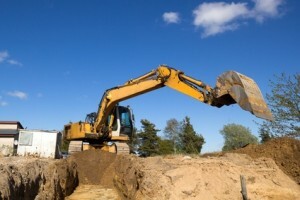 A Title V inspection should be done by a certified septic pumping professional, licensed in the state of Massachusetts. These professionals can also perform any necessary repairs, upgrades, or replacements necessary for compliance with the regulations. In Massachusetts, the state does allow for a Confidential Voluntary Assessment, which means a homeowner can have their septic system inspected without having to submit their finding to the Board of Health. This could give the homeowner a heads-up to any problems or repairs needed before the official Title V inspection. What does a Title V inspection entail? When inspection time comes, the inspector will look at all parts of your septic system, including the cesspool, leach field, distribution box and septic tank. The inspector will also check for hydraulic failure and check the high groundwater elevation. 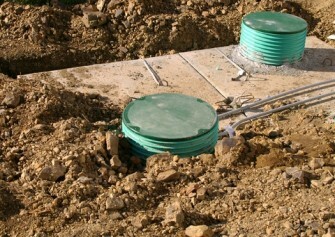 According to the MassDEP, the septic tank, distribution box and the cesspool can be inspected at the absolute minimum. The inspector will provide information on water usage for the last two years, as well as make sure that the number of bedrooms the septic system is rated for is the number of bedrooms in the house. Ensuring accuracy on this point can save homeowners a lot of headache if you ever want to sell your house. Under Massachusetts’ regulations, the number of bedrooms a house can claim to have is dictated by the capacity of the septic system. For example, a home could have four rooms that are suitable for bedrooms, but if the Title V inspection determines that the septic system has only enough capacity for three bedrooms, then the home must be listed as a three-bedroom home. This can come as quite a shock to homeowners, and it can obviously have a negative effect on the property’s value. Worse yet, ignoring this aspect of a Title V inspection can mean you’re essentially misleading prospective homebuyers, which can trigger expensive litigation. For this reason it’s important for homeowners to get their Title V inspection completed well before putting their home on the market. Under Title V regulations, the property owner has two years to fix problems found in an inspection. It’s a good idea to obtain the original septic system plans from your local Board of Health and have them on-hand during inspection, as well as records of maintenance and pumping that’s been done on the system. Once inspection is completed, the inspector will submit his findings to the Board of Health and they will give a conditional, pass or fail on the septic system. The Board of Health will keep a record of the results, which for any home buyer, is great because they can obtain the information before deciding to buy. However, home buyers should note that Title V inspections only assess the septic system’s current functioning – the report isn’t considered an indication of future performance or the expected longevity of the system. Also keep in mind that when you receive a Title V report from your inspector and it says “pass” that does not mean that you have completely cleared the hurdle of what is necessary in Massachusetts. Local board of healths have broad power over septic systems and could potentially deny the approval for some reason. This really becomes important because there is the potential that you could be heading to closing on your home thinking you have a passing Title V when in fact you do not! See Massachusetts Title V approval for a complete run down. What if your Title V doesn’t pass? The first order of business is to call the local Board of Health and a local engineer. The latter will help to assess the situation and determine the best course of action. One thing the engineer can do is see if there is a reserve area in the original design of your septic system, meaning it has the capability to add more leach trenches. Another option is to come up with a design in the event that the entire system needs to be relocated. Relocating or replacing a septic system can be costly and it’s a good idea to bid the project to several septic installers once the design is completed. This will help you find the best price within your budget. If money is tight, there are a few programs available to alleviate the financial burden of having to replace your septic system – tax credit and low-cost financing through the Massachusetts Housing Finance Agency (MHFA), the Farmers Home Administration (FHA) and the USDA Rural Development Program. Megan McClure is a freelance writer based outside Philadelphia. Find her on Google+.